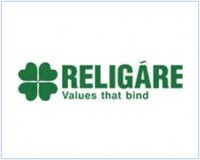 Religare Enterprises Ltd has informed that the Share Allotment Committee of Board of Directors of the Company, in its meeting held on May 07, 2010, has allotted 13,000 Equity Shares on exercise of stock options under the Employees Stock Option Scheme 2006 (ESOS) of the Company. The paid up Equity Share Capital of the Company post allotment is 12,78,39,462 Equity Shares of Rs.10 each aggregating Rs. 1,27,83,94,620/-.